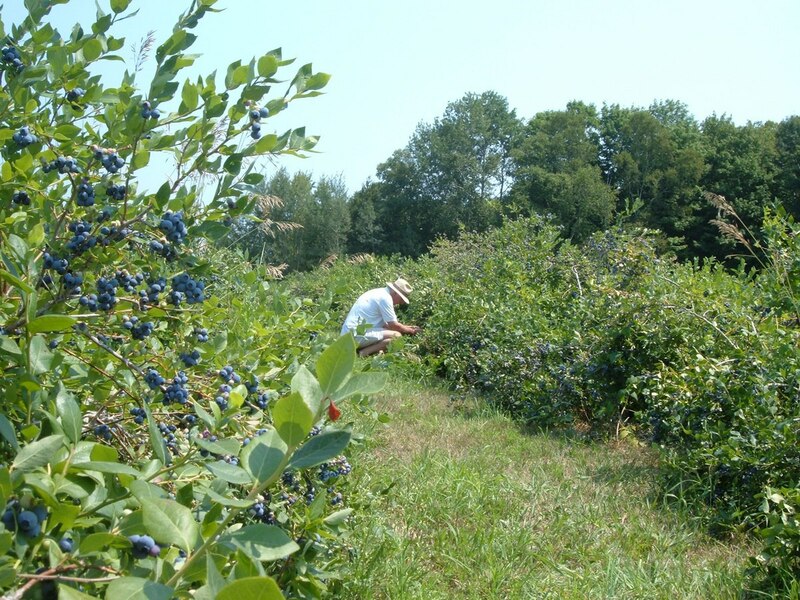 Bob and I enjoy making annual trips to Fernwood Farms in Stayner, Ontario, for that is where we pick the biggest, juiciest blueberries that one can imagine. 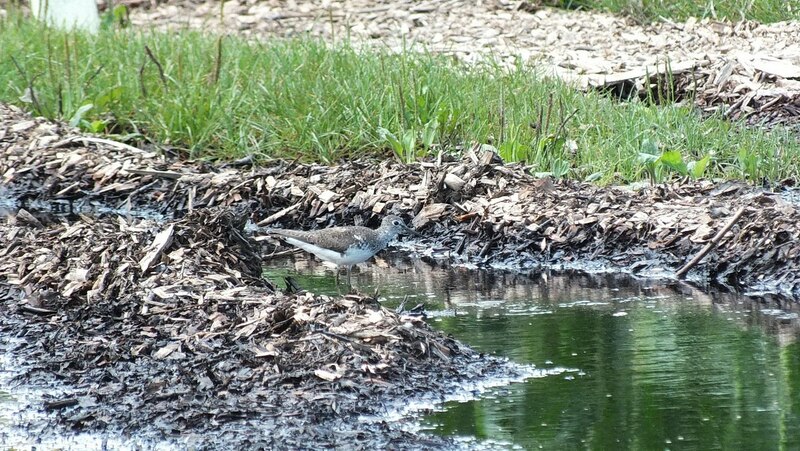 There had been a deluge of rain the day before we visited the farm, and a Solitary Sandpiper (Tringo solitaria) was making use of an impromptu pond that had formed at the edge of the cornfield. we set off early from Toronto so we would arrive and still have time to fill our baskets by lunchtime. With some blueberries the size of grapes, that was fairly easily and quickly accomplished. 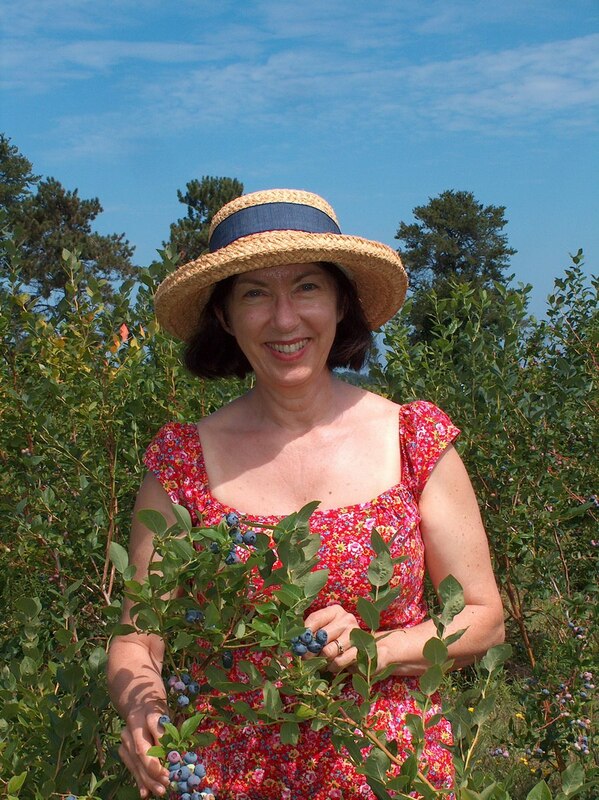 It is fun to pick tame blueberries because you can just hold each thrush of berries between your two hands and gently tease the ripe ones to fall off. In most cases, we would end up with a handful from one little stem of fruit. 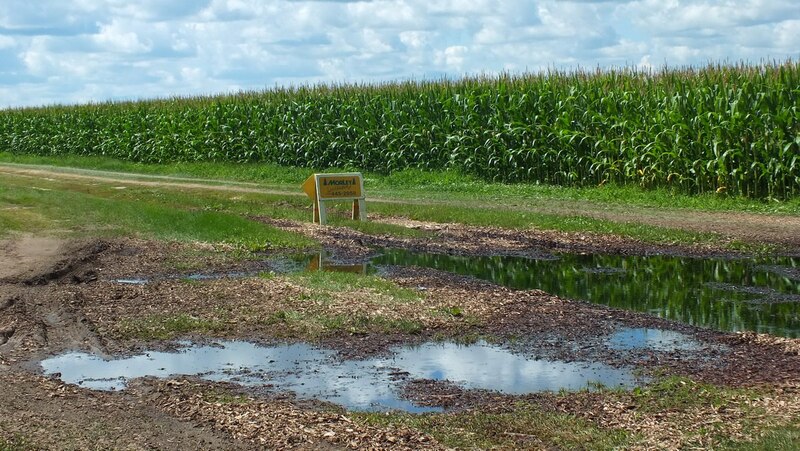 When Bob and I first arrived at the Fernwood Market, behind which the access road leaves the parking lot and enters the fields, we saw that part of the road was blocked off due to flooding. As we proceeded to edge past the giant puddle of water, Bob caught a glimpse of movement at the edge of the flooded ruts in the road. We were quite shocked to see a shorebird there in the middle of a farm field. 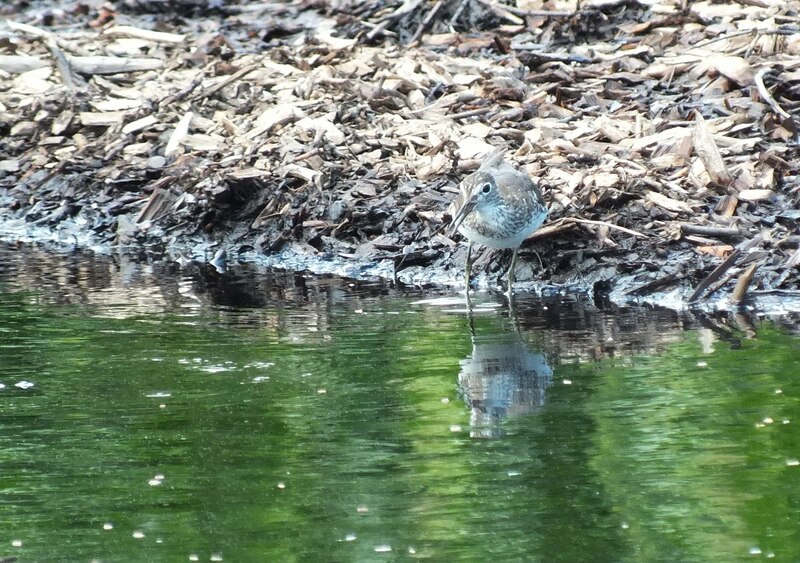 It was later that we learned that the Solitary Sandpiper, during migration, is commonly seen around temporary pools of water and flooded fields and ditches…favouring locations with a clear all-round view. 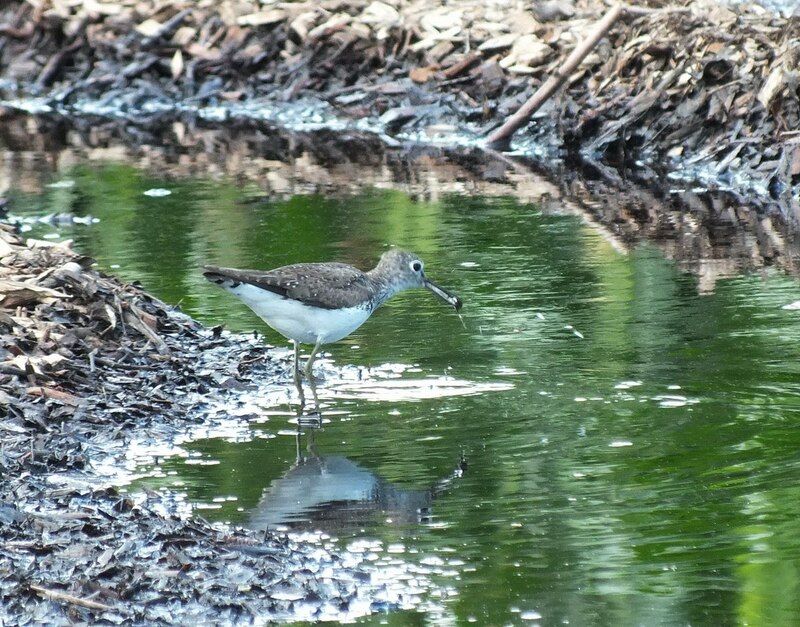 The Sandpiper blended in so well with the layer of wood chips that had been deposited to help fill the holes in the road that we were hard pressed to pick out the bird as it foraged for insects in the water. 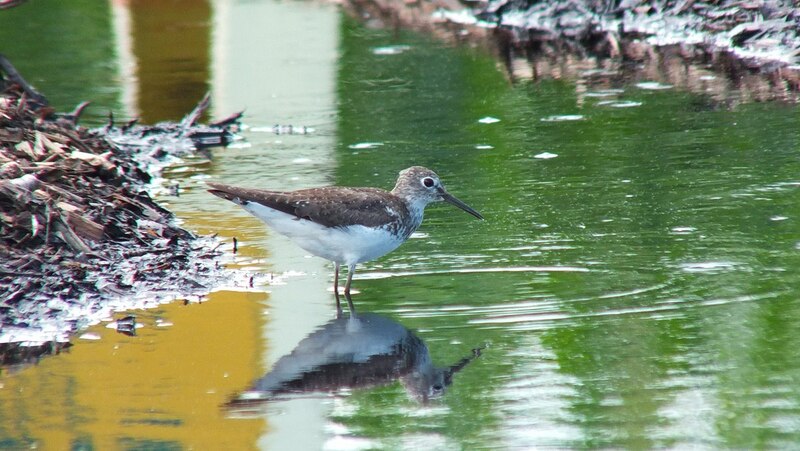 Solitary Sandpipers are freshwater birds that tend to migrate alone, although in rare cases, a few will gather together. They are between 7-9 inches long in the body, and one distinguishing feature is the bright white eye ring. 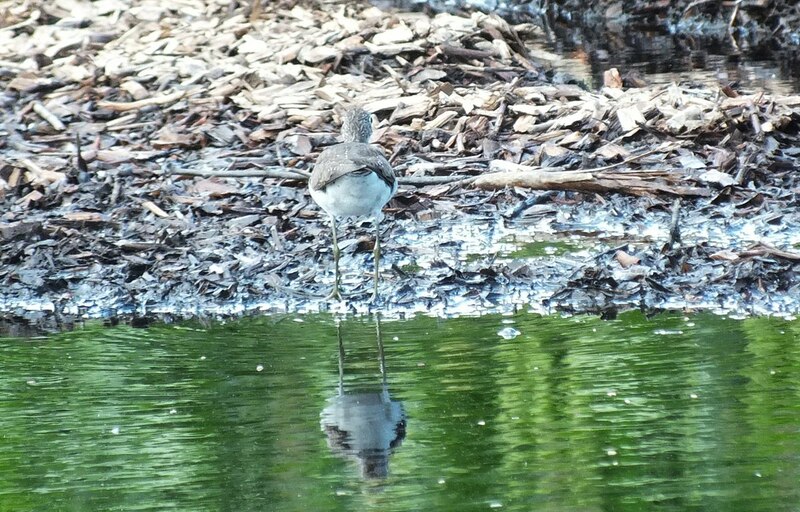 The dark rump and tail sets it apart from the closely-related Green Sandpiper of Europe and Asia. 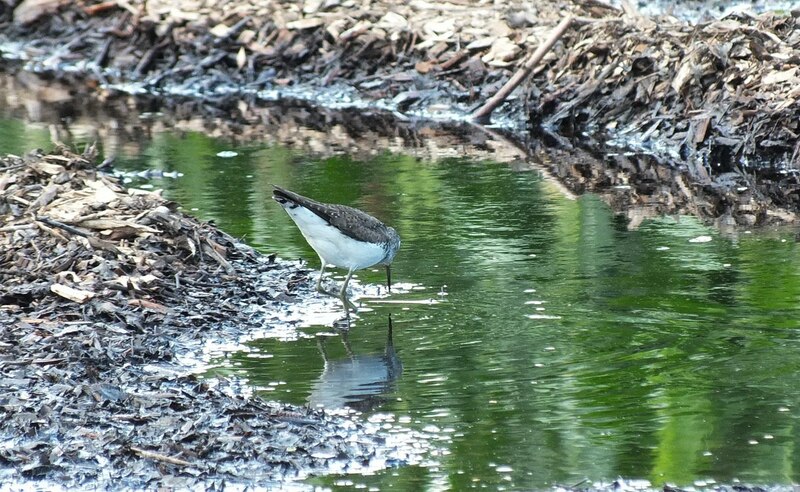 As we watched the Sandpiper, it methodically circled the edge of the pond searching for insects and small invertebrates also drawn to the new source of fresh water. 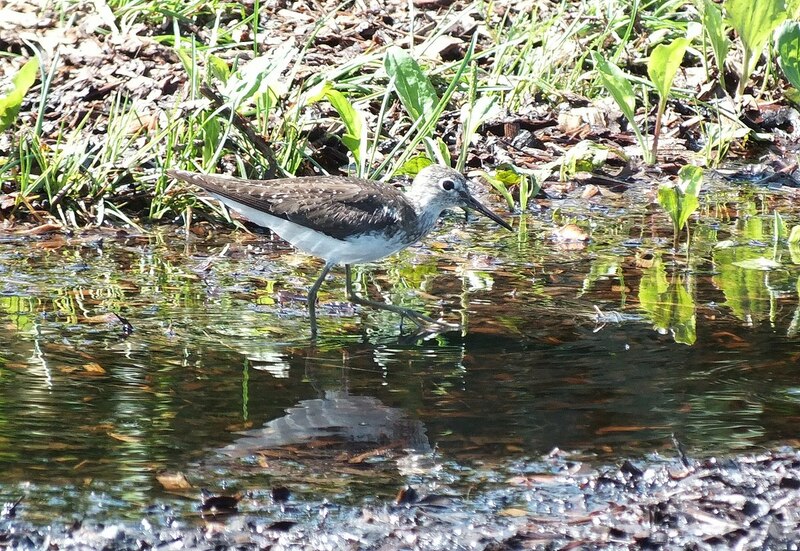 It made us happy to see that the Sandpiper was having good luck. 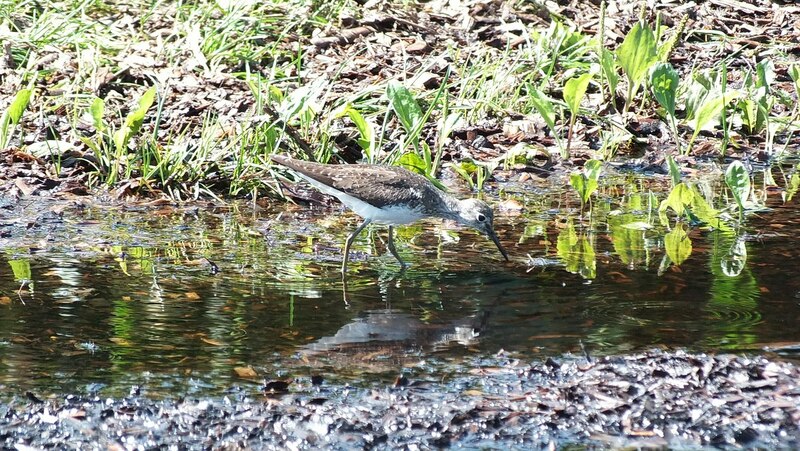 Over and over again, the efforts of the Sandpiper had it coming up with tasty morsels. One interesting fact about Solitary Sandpipers is that they are one of only two sandpiper species that lay their eggs in deserted tree nests of certain songbirds. Looking around the vast flat farm fields, Bob and I wondered where this lonely little Sandpiper had made its home. 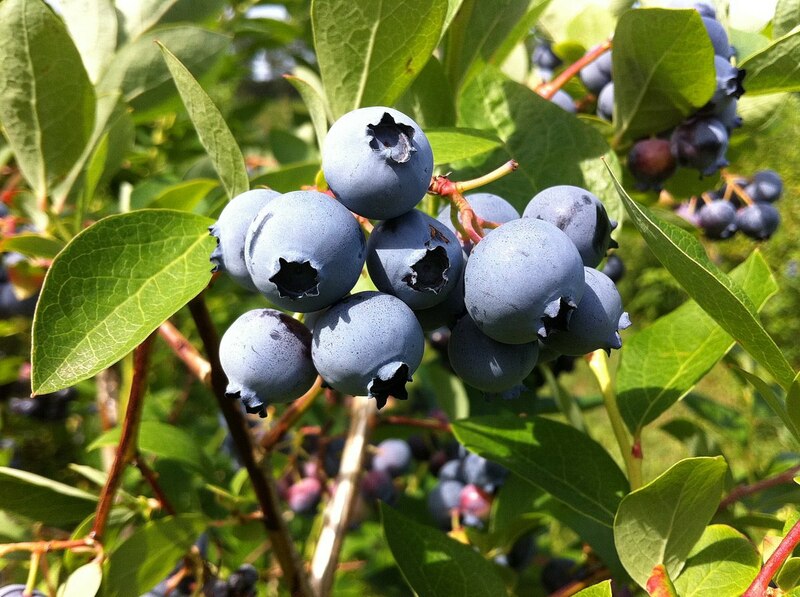 We were pleased to have seen such an unlikely bird on our blueberry-picking expedition.